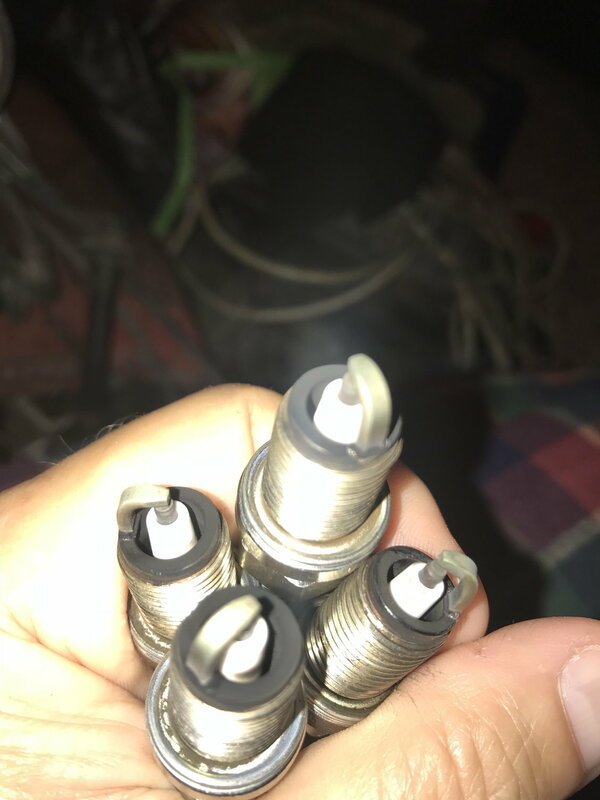 Is it normal for the spark plugs to have this carbon deposit after 200 miles? It’s only on the bottom part of the threads. Yup. The white part being white is what you want. Just curious what even made you take them out with 200 miles on them? they are denso, i wanted ngk. the ngk aren’t available down here so i bought denso, then i bought ngk from amazon. Just so you know, the Denso plugs would have been fine. They're used in Toyotas new. Also Denso is a Toyota owned company. The latest Gee-Whizz-Bang-127-electrode plugs, epic fail. Just love this thread and the obvious mechanical enthusiasm of the owner. I want to buy your car when you're done with it!